ROLL and Xero are the simplicity, visibility and control businesses are looking for. Try Roll for free No credit card required. 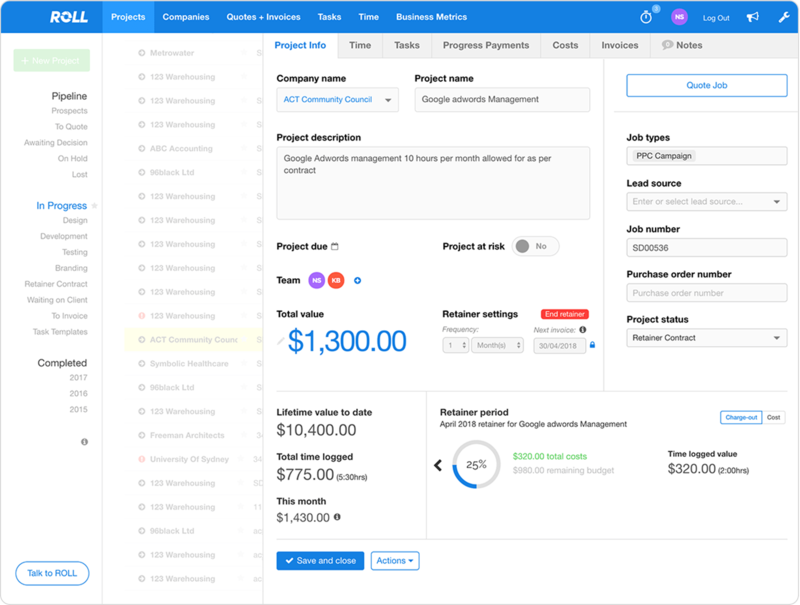 ROLL is a workflow management tool that provides consultancies, web developers, engineers graphic designers and more with a centralised software solution to run their business. ROLL works for business owners, managers and teams and provides visibility and control unlike any other product on the market. ROLL is rated 4.8 out of 5 by Xero users! I can't believe how easy it is. ROLL with the Xero integration has shaved at least 8 hours off my time and that of our account managers. I have put at least 3 working management spreadsheets into the bin. 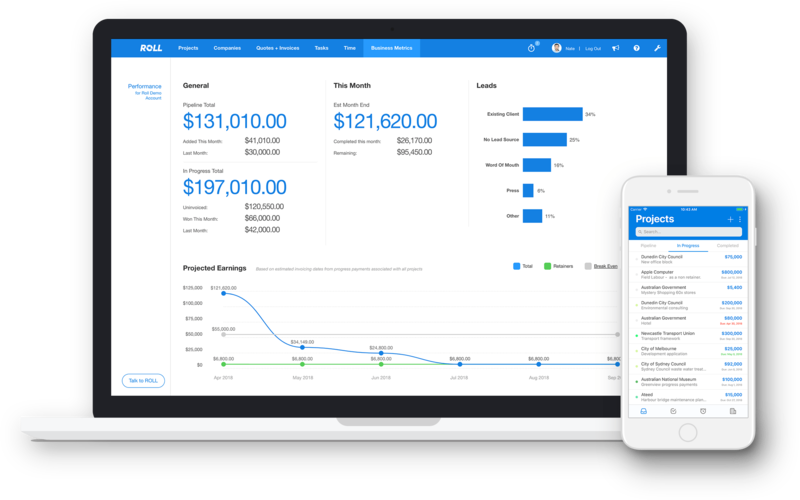 Connecting your Xero account with ROLL will give you a complete software solution to manage your work with streamlined, efficient process and a great user interface. With ROLL's Xero integration, your contacts are syncronised across both platforms. Generate an invoice in ROLL and it immediately appears in your Xero account. The integration is two way, when invoices are marked as reconciled in Xero, your projects and the financial information in ROLL are also updated. Simply sign up for ROLL, go to the settings section (spanner at top right) and click on the 'Authorise Xero' button in the settings area. Need help? Watch this video showing you how to connect ROLL and Xero. 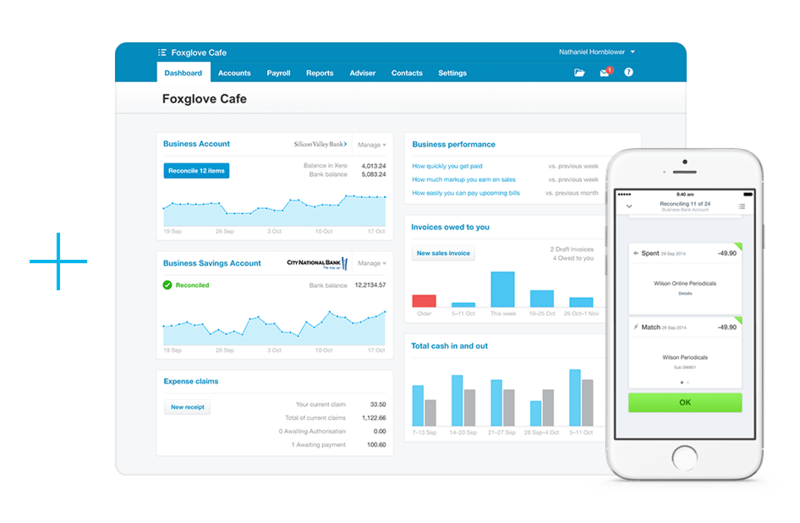 See for yourself how good ROLL and Xero could be for your business.